Our brand new Brushed Carbon Nippers are based on the moulds of our most popular and best performing boards but with a Brushed Carbon finish. 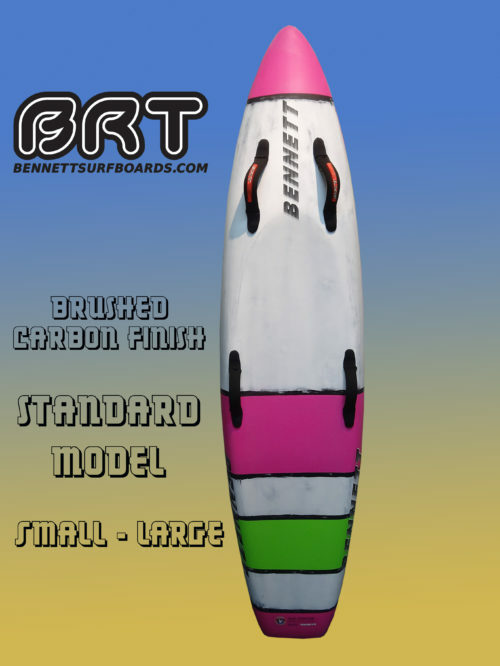 Bennett Surfboards is a recommended supplier of surf craft for the Australian Surf Life Saving Association. All surf craft manufactured by Bennett’s complies with strict regulations of Surf Life Saving Australia.